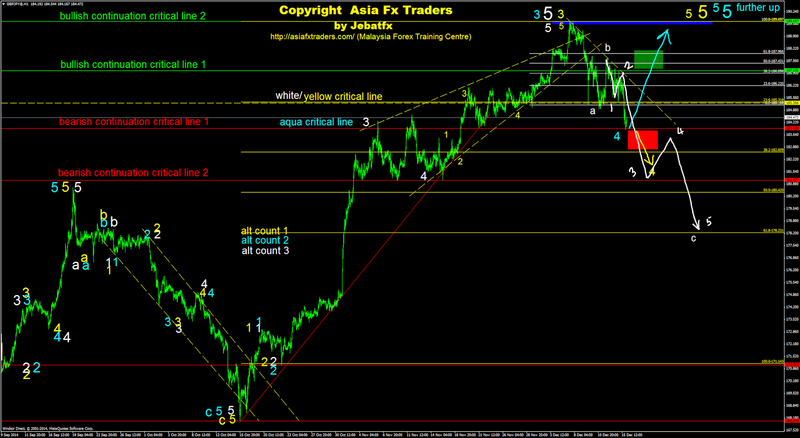 Preferably, I believed market in progress to perform major wave 5 either in yellow or aqua. Please be extra careful that market also have a potential to complete a corrective wave b in white either at (FR61.8%) or a double top pattern. Good luck and happy weekend. 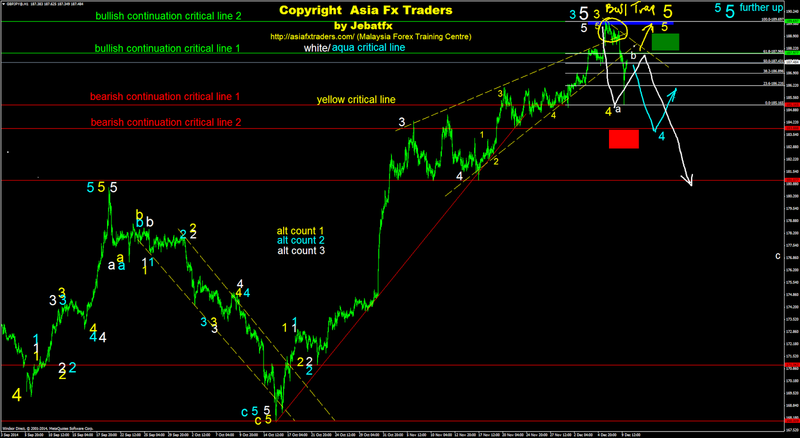 At the moment, I am looking toward a potential of another bullish continuation trend scenario in yellow. A Bear Trap pattern would bolster to this scenario. 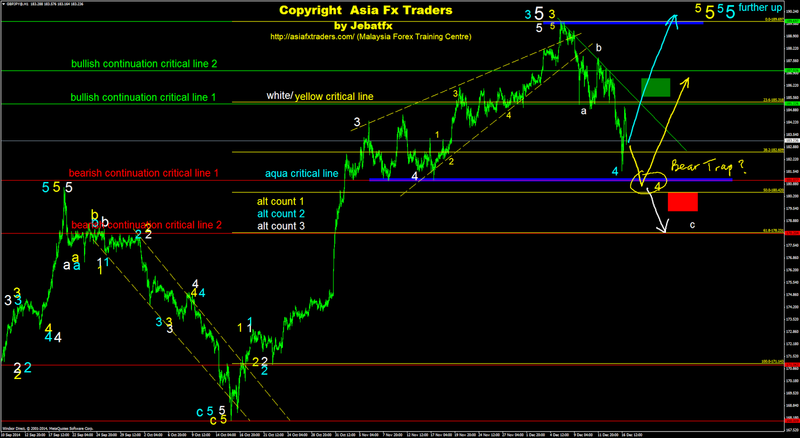 Otherwise, we may see another bearish continuation trend scenario in white. Good luck. 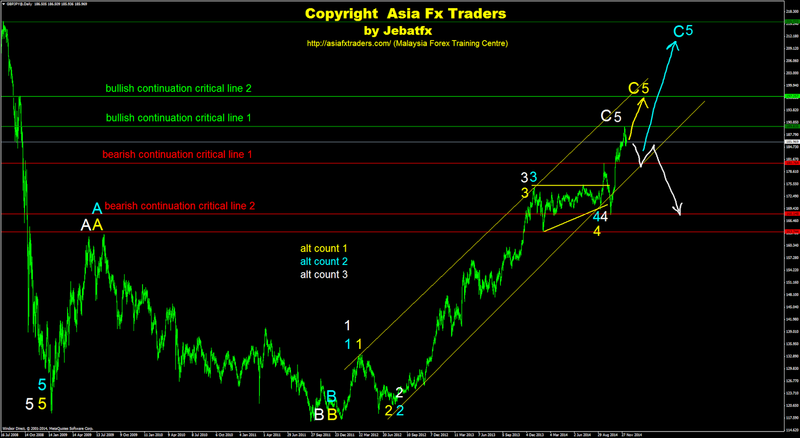 Favourably, I am expecting market to perform another bearish continuation trend scenario either to complete wave 4 in yellow or corrective wave c in white. 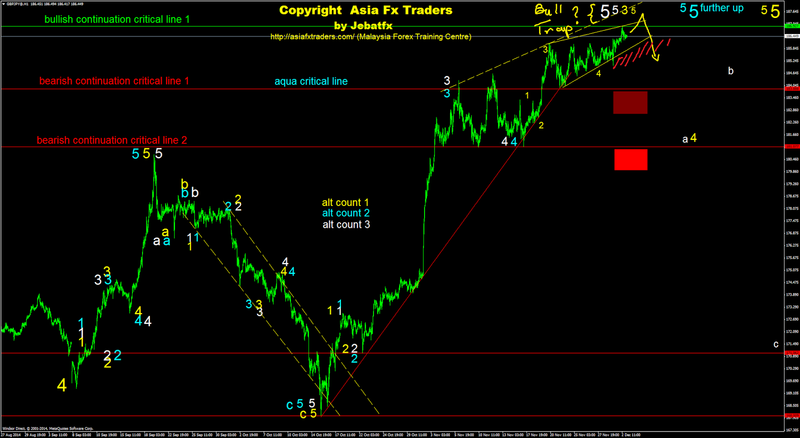 Otherwise, we may see market bounce back to perform major wave 5 in aqua. Good luck. At the moment, please be noted that market have a good potential to perform another bullish rally either to complete major wave 5 in yellow or aqua. Otherwise, I believed market in progress to perform a bearish reversal trend to complete corrective wave a,b and c in white. Good luck. 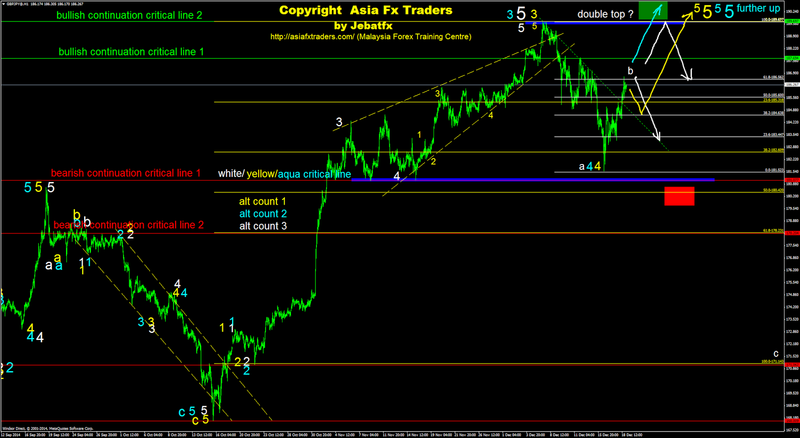 Preferably, I beleieved market in progress either to complete wave 5 in yellow or corrective wave b in white. A breakout towards the bullish continuation critical line 1 would bolster toward the alt count scenario in yellow, otherwise a pullback would bolster toward the alt count in white. Good luck. 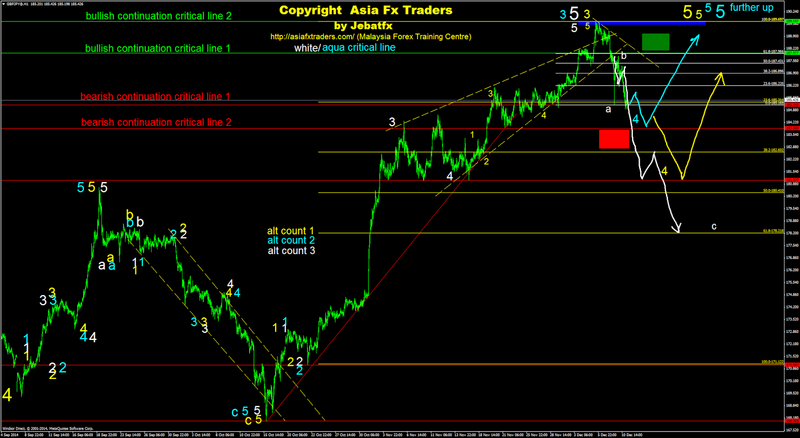 Preferably, I am expecting market in progress to complete wave 3 in yellow before a potential of any bearish retracement trend scenario. Otherwise, market may start to falls down refering to the alt count in white or we will see another strong bull rally in aqua. Good luck. At the moment, I am looking forward for a potential or either a bearish retracement trend scenario either to complete wave 4 in yellow or corrective wave a in white. A good breakout towatd the lower yellow trend line would bolster to this scenario. Please be noted that market may perform a bull trap pattern. 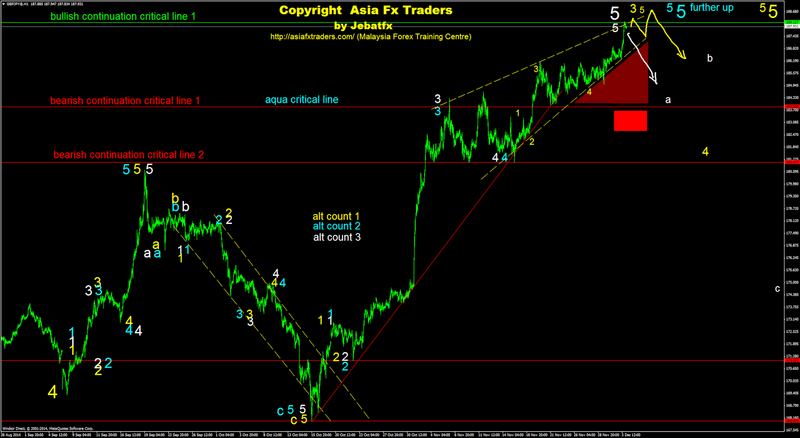 Otherwise, we may see another strong bullish rally to complete wave 5 in aqua. Good luck.